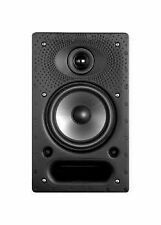 Polk Audio T50 BLACK T Floorstanding Tower Speaker EACH. DOUBLE THE AMPLIFIER POWER TO 100 Watts of Dynamic Power with its in-built 50-watt RMS amp. It may show light wear from normal use, Light scratches on the top and side surfaces and one leg is broken/missing. 4 ohm Impedance ( Model RD5530 ). Sold in pairs for one low price. It features an poly cone and rubber surround. 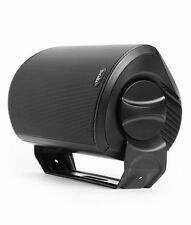 With Power handling ability of 110 watts RMS, the MW7010 has an output performance of 91 db 1w/1m SPL, with a frequency range from 45 Hz. Buy Direct from Polk. High efficiency design allows the CS1 to reveal the classic Polk sound (open, spacious and clear) even when driven by modestly-powered amplifiers and receivers. Note: The warranty is VOID if the serial number of the speaker has been removed or defaced. Polk Audio T30 BLACK T Center Channel Speaker -by Polk Audio. Featuring (1) 1" tweeter and (1) 5.25" Driver, engineered with Polk’s proprietary Dynamic Balance technology. This speaker is designed to produce a natural, well-balanced yet punchy sound with massive bass even at the lowest frequencies. POLK AUDIO MC60 IN CEILING SPEAKER. MC Series speakers are timbre-matched to other Polk speakers to insure utterly seamless blending from speaker to speaker in systems that combine traditional and built-in speakers. 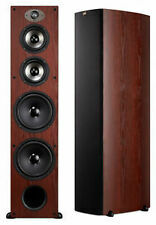 Manufacturer: Polk Audio. WIRELESSLY STREAM MUSIC with GOOGLE CAST from your smartphone, tablet or other compatible Android devices for a multi-room system. Connect to a host of smart devices, TV, speakers and enjoy high quality sound instantly. Sold with all shown 1 speaker. Dents on the body. Tested for Key Functions / Ready for Resale. Condition : Used - item shows visible signs of use such as scratches, scrapes, scuffs etc. Item is tested and fully working. NEW OPENBOX. PRODUCT IS NEW. Unless Stated Otherwise. Polk Atrium 4 Main / Stereo Speakers. Condition is New. Shipped with USPS Priority Mail. Polk Audio - 3.1-Channel Soundbar System with 8" Wireless Subwoofer and Digital Amplifier - Black. Polk Audio 3.1-Channel Soundbar System with 8" Wireless Subwoofer and Digital Amplifier. Change the way you hear TV audio with this Polk Audio MagniFi sound bar system. Model: RC80i. Manufacturer: Polk Audio. Color: White. Handles Up To 100 Watts. The Box Has Bends, Creases & Wear. Pickup Location. Model: RTI A1. Tested working. 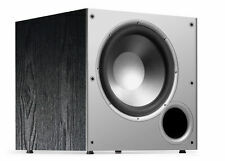 Dynamic power is a great description for a Polk subwoofer; discover this for yourself by choosing an affordable new or pre-owned one from eBay. These speakers are housed in a patented box design that stays elevated from ground level. The square container provides the unique, smooth tone. Getting as much power as you can requires that you generate a strong magnetic force with coils. That force is generated with a special magnet constructed into the Polk subwoofer that brings the voice coils into greater focus. The power that these wires or coils gain is kicked back as a powerful signal sent as bass and power. The coils are constructed with a copper chemistry and appear as thousands upon thousands of strands made into a magnetic cluster. The force from this cluster gets built through the conductivity of voice coils and then released to the final output. How is the performance of a Polk sub measured? Performance is the result of dynamic features. The size of subwoofer dictates which low frequencies it can pick up. The larger the sub cone is, the more that lower tones can be projected with accuracy. Your enclosure will also play a role in the performance of sound. These Polk cabinets vary in size, material, and with the placement of the cone. 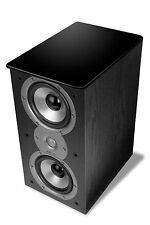 The low- and high-frequency responses of the subwoofer provide you with an understanding of how it deals with low or high pitches. The root mean square (RMS) is a rating on the subs ability for continuous power. They rate the electrical frequency of a sub with watts, but how much it can actually sustain as an ongoing activity is measured in RMS. Consider measuring the subs connectivity also. This is how well a sub works with the audio equipment you already have. What does an enclosure help with? 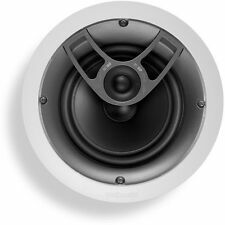 Watts: Electrical signals are generated as watts when working within a subwoofer. This is the equivalent of one joule of electricity per second as a controlled process. Hertz: The audible frequency that we actually hear is heard in levels of hertz, and the engineering inside of the cabinet reverberates this frequency to measure the performance specs of the sub. Content provided for informational purposes only. eBay is not affiliated with or endorsed by Polk.